Katie Williams was born and raised in mid-Michigan. She earned her BA in English from University of Michigan and her MFA in Creative Writing from the Michener Center for Writers at University of Texas in Austin. She currently lives, writes, and teaches in San Francisco. You can find Katie's short stories in such publications as Agni, American Short Fiction, The Atlantic, Best American Fantasy 3, Prairie Schooner, Subtropics, and others. 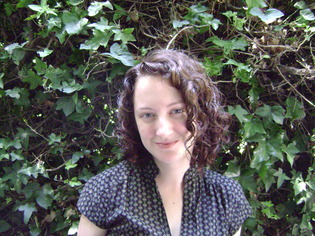 The Space Between Trees, published by in May 2010 by Chronicle Books, is her first novel.